HHS-OIG Investigation Defense Attorneys - Oberheiden, P.C. Facing an investigation by the Office of Inspector General of the U.S. Department of Health and Human Services (HHS-OIG) is an extremely serious matter. The OIG often works closely with the FBI and you should take quick, effective action to ensure that the investigation does not result in civil or criminal liability. Most healthcare businesses take payments from federal healthcare programs like Medicare, Medicaid, and Tricare. Every year, federal programs lose millions of dollars due to fraudulently induced overpayments. As a result, payments made by these programs are increasingly scrutinized. And every year, the government takes more and stronger enforcement action. HHS is one of the primary agencies that monitors and investigates suspicious reimbursements. You can lose your ability to receive reimbursement from federal programs as a result of an OIG investigation. An investigation can result in substantial fines, and in more instances could lead to criminal conviction. To avoid these potentially cataclysmic consequences, you should take immediate action once you learn of an HHS-OIG investigation. HHS is a federal agency tasked with providing for effective health services and fostering advances in medicine, public health, and social services. As the nation’s primary healthcare-focused agency, HHS spends substantial resources overseeing and enforcing healthcare regulations regarding Medicare and Medicaid. HHS works in cooperation with the Centers for Medicare and Medicaid Services (CMS), and also works in close cooperation with the FBI in investigations of individuals and entities suspected of fraud on a federal benefits program. The enforcement arm of HHS is the Office of Inspector General. It was established to “identify and eliminate fraud, waste, and abuse” in federal healthcare benefit programs. The OIG has numerous offices around the country, and each investigates, audits, evaluates, and prosecutes healthcare providers suspected of federal program fraud. How Will You Know That You Are Under Investigation by the HHS-OIG? Unfortunately, you likely will not know that you are under investigation by the HHS-OIG, at least not at first. Most OIG investigations progress for some time before the company even knows that they are under investigation. The company may eventually receive a subpoena requesting the production of documents or may be approached by government investigators. The government will have a head start in investigating your case, and it is important to get representation as soon as possible. Many companies wait too long before seeking legal counsel after they learn of an OIG investigation. They may not realize the seriousness of the situation or want to wait until they are sure that they are actually the target of the investigation, but either way the decision can be a major mistake. The earlier an attorney becomes involved in an investigation, the easier it is for them to direct the course of the investigation. With the assistance of an experienced attorney, OIG investigations often end in the investigation phase, before any charges are brought. But if you wait until an investigation has concluded and the government has already made up its mind that a violation has occurred, it is much more difficult for your attorney to turn the direction of the investigation, and criminal or civil action is more likely. Conduct your own internal investigation. 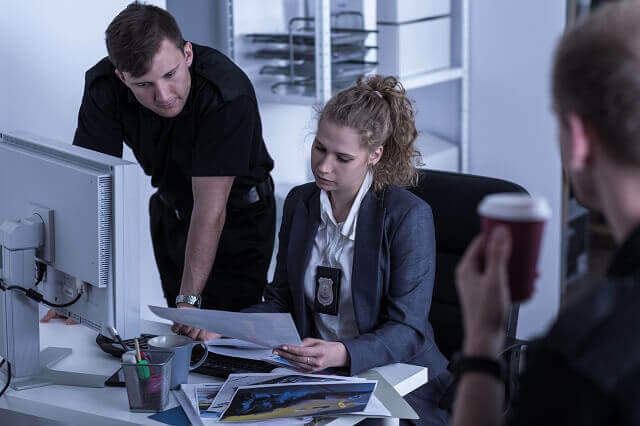 Government investigators make mistakes just like everyone else, but when those mistakes are made in the course of an investigation, they can lead to severe consequences for you and your business. Your attorney will assist you in conducting an internal investigation so that you can prove that your company operated in a compliant manner, or if there is a problem, so that you can fix it and get out in front of the issue. Improve your compliance program. Your attorney will help you improve and expand your compliance program so that you can show how important legal compliance is for your company. Find out why the OIG is investigating you. Until your attorney engages with the OIG investigators, you will not know what they are investigating or what they think you did wrong. Creating an open dialogue can focus your defense on the right issues, and limit the scope of your legal fees. An open dialogue will also allow your attorney to determine whether the investigation is civil or criminal in nature. If it is civil, you and your attorney’s first priority should be keeping it civil, because criminal penalties are so much more severe and disruptive. Do not discuss the investigation with others. Beware of discussing the allegations or investigation with others. You do not know who is working with the government or who may be recording your conversation. Be particularly careful in responding to old acquaintances that call you suddenly and want to discuss the subject of the investigation. You need an attorney that is experienced with federal healthcare matters. Federal cases are not like state cases. They have different procedures at every stage of investigation and trial. Make sure that whoever you chose has experience and that it is the right experience. You should act quickly, but do not be hasty in choosing your representation. Having the right counsel can make a huge difference in the outcome you achieve. Representation of Client in Investigation by the Department of Health and Human Services and the Office of Inspector General. If you are under FCA investigation, you may contact Oberheiden, P.C. for a free and confidential consultation. Our attorneys are available seven days a week, even on weekends, to speak with you about how we may be able to help you with your case. Oberheiden, P.C. represents clients across the country facing FCA investigations.